﻿Discontent with the political system as a whole is rising, as seen clearly through the lens of struggles around the world and right here at home, via the ongoing Occupy movement. Numerous figures have speculated and are continuing to speculate as to what the electoral strategy, if any, will be for the Occupy movement, come the 2012 election cycle. Some, such as Center for American Progress' Van Jones, have proposed a new "American Dream Party," paralleling the Tea Party, with others critiquing that as a plan to Astroturf and co-opt the movement through various Democratic Party fronts. This is the background to my conversation with Jill Stein, Green Party candidate for president of the United States, during a campaign stop in Madison, Wisconsin, on December 15. 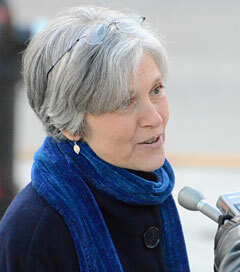 Stein is hoping to ride the momentum of the Occupy movement and reach uncharted water for a third-party candidate for president, and has a central campaign platform called the "Green New Deal." Jill Stein: I've been fighting as a third party candidate for ten years. I stepped up to the plate for this election, basically. I stepped up to the plate because it is a perfect storm for really organizing a political alternative, a politics of integrity that our lives depend on - and more and more people are seeing that. Specifically, it was the debt ceiling debacle last spring when President Obama put Social Security and Medicare on the table: it really felt like, "How could we not put an opposition voice up against this? This is outrageous!" Between the Keystone XL Pipeline debacle, the ozone regulation roll-back; expanding war - multiple wars, drones and drone surrogate wars - our "pull out of Iraq"; only to establish a new base in Kuwait, that we now have a new front in the war for oil in Central Africa; and the tripling of the troop presence in Afghanistan, it just felt like "How can we not have a voice of opposition here? This is nuts!" JS: Exactly. There is not a political vehicle for this and it was going to be the Greens or nobody because Nader, for a variety of reasons, is not going to run, and if you're not Nader, it takes a political party. Nader is just about the only person who can run a non-corporate campaign without having an expensive electoral organization. He has an extensive organization that he's built up over 40 years and nobody else is going to come along and compete with that. And there is no other political party that has managed to survive - something I've really grown to appreciate about the Greens is that - you see the glass half empty or half full. You can see the Greens as weak and fringe or, on the other hand, you can see them as incredibly heroic survivors who've managed to withstand the barrage from corporate America, and the fear campaigns and the smear campaigns, and being kept off the ballot, and censored and away from the microphone and all of that. I mean, it's impressive that the Greens have survived when the New Party and the Progressive Party and the Labor Party and the Socialist Party as electoral organizations have all folded. It's not because they do not have compelling positions and really dedicated people - it's extremely hard to survive in this extremely repressive political environment. But Greens have made it for the long haul and it was going to be us or no one, and I felt like it would be unconscionable not to step up to the plate when it seemed like our campaign team was probably best prepared to run a national race. JS: I have always been involved in issue-based politics, not party politics - I was never really originally drawn to party politics. I'm trained as a medical doctor - that's my field: I've been practicing long enough to see how extremely broken our health care system is, how broken our health is, the link between that and the environment. I had become very active in the world of health care advocacy, advocating for single payer, but also in the world of environmental politics, and advocating for being a community provider of health. That's really the way to do it. If you really want people to remain healthy, you can't just throw pills at people once they become sick, which I feel like I was doing as a medical doctor, so I began working on more upstream thinking. I began thinking, "If only our elected officials knew that there were all of these cost-saving solutions ..." So, I went into advocacy of this sort for about five years before I really knew what it was all about, and it was really a treadmill moving backward and that if you really want to fix any political problems, you also have to fix the political system. I was reaching the end of that rope after we passed campaign finance reform in Massachusetts, thinking when I was working on that issue, "Oh, it's the money that stops us from shutting down our incinerators ..."
JS: That was pre-Green Party and I had been a little involved in Nader's campaign in 2000, and coming out of that, the Green Party came to me and said, "Why don't you keep doing what you're doing and call it a campaign for Governor?" Either way, I'd be working on the same issues - a green economy, health care, chronic disease and all that. It's a win-win. If you're doing the right things with the economy, then you're doing the right things for the environment and the right thing for our health. It's this really compelling, uplifting narrative that never gets discussed. 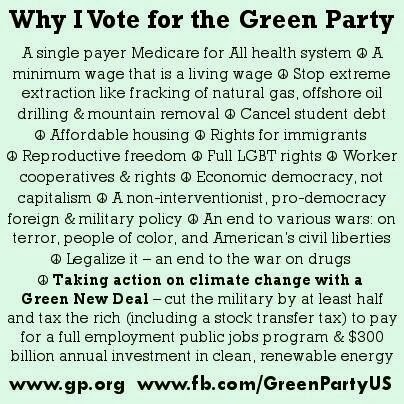 It really is a win-win that we can afford and that actually tackles all of these urgent needs, and that's when I realized I could do it all with the Green Party, so I ran for Governor in 2002, which at the time was a crazy thing to do. I had no idea what I was getting into, but it really turned into a really wonderful conversation that was begging to happen and I was continually shocked that things were not the way the media portrayed them to be, that it wasn't like you had "Red," "Blues" and "Greens." No, you had people who were really bewildered and distraught at the system, and the lack of solutions and the lack of integrity and they could smell a rat on both sides of the aisle. You didn't need sophisticated politics or ideology to get that the system was really screwed and screwing you. It was really exciting to be out there in the public domain having this conversation. I realized you don't do this work in one race - you have to build a party and a following as you do the work - and that's where it basically has continued from since then. I feel like I've been running continually since 2000 when I became involved for the 2002 election. JS: Yeah, I was a general adult doctor and I practiced in an HMO setting and I also practiced at a college clinic where my patients were mostly young people. And in 2006, I realized that I couldn't keep doing both, that I couldn't keep on both running for office and practicing medicine, so I consider what I'm doing now "political medicine" that addresses perhaps the biggest disease of all that has to be fixed if we're going to achieve health in any other aspects of our society. We have to heal up our politics. SH: You brought up single payer, you brought up what we have now, which is for-profit health care. What's your stance on what passed under Obama in 2009, what is popularly referred to as "ObamaCare"? JS: Well, we have it in Massachusetts, since it's really modeled after RomneyCare (passed under Republican Party presidential candidate Mitt Romney when he was the Governor of Massachusetts), and it's very problematic. It is not a solution - it did extend care to some people who didn't have it, but kind of at the cost of working families. The costs are not fairly distributed; the mandate is extremely unfair; the system is entirely unsustainable, and it is not working. I heard a survey the other day before I left and many people say health care is worse than it is better under ObamaCare, which is remarkable because you don't know what the real problems of a health care system are until you get sick. So the fact that so many people are saying this already - most people are not critically ill, but that's the real test of a health care system, does it take care of people who are critically sick - [is interesting]. Privatized health care does not [take care of people] - it leaves them in a lurch - it's basically a boondoggle for health insurance companies and pharmaceutical companies. JS: This is another reason why we're running the campaign now - because if you follow the science there we don't have four years to wait. I mean, we don't; we really have to start tackling this now. It's really important for the climate and it's time that people put their politics where their values and science argue they ought to be. I think Obama supporters are really having a rude awakening right now. The numbers we've worked out - we look at various models for doing this, and we looked at a report by an economist named Phillip Harvey out of Rutgers Law School, and according to his model, the cost of creating these jobs - the costs of creating these jobs would be less than what was spent in the Obama stimulus package, which essentially created two million jobs, which were good and probably blunted a worse catastrophe and did add some jobs in the area of the green economy, but ultimately wasn't of sufficient magnitude to really fix the problem. So, this will do a whole lot more. The cost for the stimulus package worked out to be about $220,000 per job created, because the mechanisms were indirect and relied a lot on tax incentives, which don't always get used to create jobs. This, instead, would be money used directly to create jobs and would be more like $20,000 per job created. SH: Many liberals say natural gas is a "bridge fuel" toward a clean energy future. How do you feel about that? JS: The current science - I mean, there's been doubt on that for quite some time - and increasingly, the science confirms the cynics here. When you do full life-cycle accounting of it, it is not a cleaner fuel, and is very carbon intensive. Add into that all the impacts on water and we do not want to be going there. JS: Absolutely. We should not be opening up new lines of carbon right now, like shale gas and shale oil, as well as tar sands oil, and we just cannot go there right now if we do not want to go over the climate cliff. We are already a bit over the climate cliff right now as it stands. As conservative of an organization as the International Energy Association is, the IEA, started by Henry Kissinger and others, they're saying - we're not talking about radicals here - we're looking at 5-6 degrees Celsius increases of warming by the end of century and that's just not survivable. And that's just where we're at now, so there's no way that we can conceivably get out of here alive if we keep doing what we're doing. People need to hear the truth about that. Already, the US has been pulled back in their climate understanding by intense propaganda campaign, but even so, they still get that it's really a problem and they're seeing it right now, with the droughts and the floods and the hurricanes and all that, so people do not even doubt this anymore. I think the number is at something like 70 percent of people who think this needs to be dealt with, so I think we badly need national leadership to do the right thing. SH: You mean, specifically, someone to use the words "climate change" on a consistent basis? JS: Yes, I mean, it's my understanding that the Obama administration prohibits the use of the words "climate change." SH: I knew there were criticisms that they did not use those terms, but did not know that there was an official prohibition of the use of those words, though I can see why they wouldn't want them to be used. Now, in terms of ballot access, getting signatures and all of the barriers that exist for third-party candidates that are not in play when you are a Democrat or a Republican: knowing that going in, has that ever come across to you as something you just do not want to deal with - the barriers are so high that it doesn't seem worth it to you? And how hard do you plan on campaigning? JS: Exactly, and the fallout after Nader, and I think Greens feel so vindicated right now. We've had this experience over the past eight years where we've been told to silence ourselves, muzzle yourselves, shut up, hold your nose, you know, vote for the "lesser evil." JS: Yeah, so now people now really have the evidence that silence is not an effective political strategy, and what we do if we silence the public interest, which is so hard to hear anyway, is that we silence ourselves and then we do not have a democracy. It is not a survivable type of politics. Witness what just happened with the Defense Authorization bill. We cannot go there and we need to do something. It just doesn't pass the "laugh test" anymore, and silence just is not working, nor is the politics of fear. The politics of fear has brought us everything we are afraid of, including the endless wars, the collapsing economy - all the rest. Greens are standing proud now, and none too soon. Two ships are going down - Democrats and Republicans are both going down. Historically, we've said the Republican ship is going faster. I think that's debatable right now, but regardless, is the solution for getting off of a sinking ship to jump on another ship that is also going down and maybe just a little bit less quickly? Absolutely not. We've got to get in another boat and take us to where we've got to go. At any rate, it's a good time for Greens to be fighting. It's not easy to get on the ballot - we've got 16 states where we're already on. It just so happens, for the first time, we are already on the ballot in the five states in which it is hardest to get on the ballot in, so we are way ahead of the game. SH: How do you make more noise then, or how do you get around the fact that there are scores of highly paid partisans working for the Democratic Party in particular, since often, that's who you are really up against. How do you defeat the people loudly saying "Vote for the lesser evil; the right is really scary. The right is really evil. Romney is really scary; Perry is really scary." What's your strategy for combating that message? JS: Our strategy has a lot to do with alternative media and selectively engaging with groups who have been screwed over by both parties. They don't need much convincing. Students, for one, they're there. We launched our campaign at Western Illinois University. Students are on the receiving end, and when you're talking about an issue of generational injustice, because everything we're discussing will end up falling into the hands of the youth and young people - unfairness in jobs, a climate catastrophe - and we have to ask ourselves what kind of world we're making for them, how we're going to clean up this mess we've left for them. I mean, students and young people are really on the receiving end. What civilization devours its young? Because that's what we're doing. The profiteers are going after the young as a population to exploit. That's why the loans are so high; that's why young people have been put at the bottom of the priority list. They are victims of profiteering. We are all about fighting that. 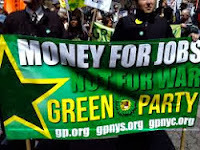 We think green jobs will help with this fight; we will forgive student debt. They must be engaged because they bring creativity and fresh life into our economy, and we need them badly. We will provide tuition-free higher education, since it's comparable to a high school education in the 20th century - you need a higher education degree in the 21st century economy and it should be provided as a basic right. I also support legalization of marijuana, ending war, and other bread-and-butter concerns for young people. This is a constituency that is just itching for a platform of this sort. After that, the Occupy movement is a key constituency. UC-Davis, for example, the night before I came there, said they disavow the Democratic and Republican Party, so that's a great opportunity. The antiwar movement, the civil liberties movement - in fact, I've met Republicans and Ron Paul supporters who have told me, who have said that when Ron Paul doesn't make it in the Republican Party they're supporting us in our campaign because we are the only voice in the race for our assaulted civil liberties. This has been completely different than my experiences with campaigns. This one seems to have a life of its own. 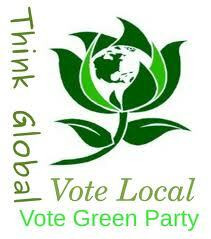 Running in other campaigns as a Green, outreach is a big part of the job. This one has been different. JS: Yes. Economically, people are up against the wall and people are looking for a voice to represent them within the system. It's a real credit to Occupy Wall Street that they not only maintain their independence, but that they are constantly rethinking their strategy. When they began, they did not want to have anything to do with electoral politics. As they are increasingly evicted, they realize they have to use every tool they have and they can't afford to overlook an electoral tool if they have one. And we've actually been written to by one of the Occupies in Delaware and they said they were really excited about the campaign and wanted to go to work, asking what they can do. So, they're all on a steep learning curve, as we all are, since the times are so rapidly changing, demanding and stressful, and I think that one of the very exciting things about the campaign is that it is part of a very public conversation about where we stand and what we do to help each other work through solutions. And a lot of people get stuck on this thought process of, "Oh, I've been told I can't stand up for my values," and I think people have hit the wall with that right now. JS: This type of stuff is extremely influential, and many people simply do not have enough time to come up to speed with all of the issues, so that's why in my mind, it's a very imperfect process. We're fighting within an extremely rigged system and I think that's why we can know the public is with us through polling - the public is more than disenchanted with the two corporate parties and has rejected them. The largest group of voters says that they are neither Democrats nor Republicans and are fed up with both. Large majorities favor bringing the troops home, support good wages for workers and all of the things we stand for. So, if we really lived in a democracy, then we'd expect to win this, but that's not the way the American political system works. It's mostly about money, and if you get a word in edgewise about democracy, you're doing really well. We don't expect that they are going to open up debates with us, but on the other hand, we could fight our way in. SH: Can you talk a bit more about the debates? Political scientists have said that debates are one of the few times a year where vast amounts of people are tuned into a single political event, paying attention to politics, and that debates are the "Super Bowl" event of the year for politics. That being said, are you going to try to fight your way into them and if so, how? JS: Our job is to do the right thing in both the climate emergency and the jobs emergency and not let the public relations campaigns of the various fossil fuel interests - and nuclear interests as well - confuse our thinking - because they're hyped up when you actually look at this stuff carefully. Take, for example, carbon sequestration: there's really no evidence for it whatsoever that it's going to do the job, and it just so happens that it puts billions of dollars into the pockets of coal companies. This is just an exercise in influence peddling. Our job is to do the right thing because we do not have time to keep going down the wrong road, and we keep allowing influence to be bought. JS: Israel/Palestine is a microcosm of broader US foreign policy principles, and our foreign policy needs to come into harmony with principles of human rights, nonviolent conflict resolution and a respect for international law - haven't been there at all in Israel/Palestine and more globally. And I think, globally speaking, the issue of clean and renewable energy factors in here as well. Because as we become less dependent on oil, we can stop fighting wars for oil and they go hand in hand and make each other possible. JS: Yes. And also, an immediate repeal of the Defense Authorization Act that just passed (http://www.salon.com/2011/12/16/three_myths_about_the_detention_bill). It's an outrage.